Marilyn Little-Meredith of RayLyn Farms in Frederick is no stranger to Washington International Horse Show. She has been competing at the show since she was 16 years old and remembers fondly the days when the show was at the U.S. Air Arena/Cap Center. Marilyn has since graduated to the Grand Prix ring and still considers WIHS as one of the top shows on her calendar. “I love the variety [WIHS] offers for speed classes,” she said. In particular, Marilyn has been impressed by the growing involvement with the top riders and the “fun” classes like the Costume Class. She pointed out that last year many riders got involved, causing the audience to get more excited, and as we all know, if the spectators in the audience aren’t having fun watching, they won’t be coming back. On her road to WIHS each year, Marilyn travels up and down the East Coast, as well as internationally, racking up ribbons and prize money as she jumps from one show to another. But how does someone like Marilyn make her way to the top of the international show jumping scene? One could say that Marilyn was born to the saddle, and could ride before she could walk. One could say that Marilyn is just a local girl, like another local girl. Born in Silver Spring, grew up in Frederick, went to the local high school and carried a secret dream to go to the Olympics. 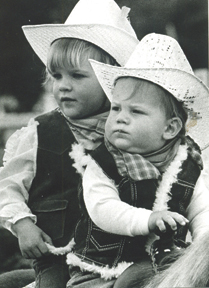 But, with seven-time U.S. Equestrian Team member Lynne Little as her mother and equine importer and trailer manufacturer Ray Little as her father, Marilyn had saddle soap in her genes. By seven, she as wiping up the Small Pony Hunter divisions. A fearless (and flexible) youngster, Marilyn was breaking babies for Raylyn Farms by the time she was 12. At the time, Raylyn stood the stallion Ommen, and so babies were plentiful. Ommen could jump, and so could his babies, and thus Marilyn began dominating the Low Junior Jumpers. Around that same time, Marilyn discovered Pony Club games, foxhunting, driving and Western riding, forgoing the jumpers. 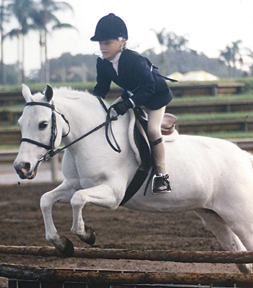 As when she was two, speed was always a factor! 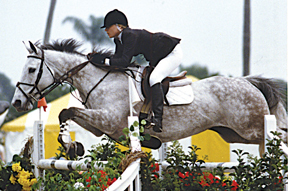 In 1993, she made it to Madison Square Garden for the Pony Club Games finals, competing with the Frederick Pony Club (which also included Chadrenne Blouin of Middletown, Kerri Wilson of Walkersville, and Curtis Thorton of Union Bridge). The pony she rode, Spice, was a loaner from the legendary Maryland steeplechase trainer Mikey Smithwick, for whom her mother had ridden many years earlier. After several years of this, and with a barnful of potential Grand Prix jumpers not being ridden, Ray and Lynne needed to do something, as they did have a business to run. So, they asked her whether or not she ever wanted to do the jumpers again. Either way, it was fine with them, but if she wanted to focus on other horse sports, they would have to start selling off the jumpers. With a maturity that belied her young age, Marilyn slept on it, deciding the next day to switch back to the jumpers, and she hasn’t looked back since. Out of the gate, she starting winning again in the jumpers. Soon, Mom passed her off into the capable training hands of Missy Clark. 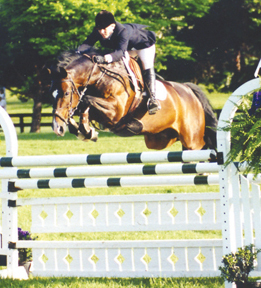 At 15, she was the Zone 3 Champion Junior Jumper aboard Dose of Reality. At 16, she rode in the Young Rider Championships in Chicago aboard her mother’s Grand Prix mare Mango Mattie and her own Reality. By 17, she was competing at Madison Square Garden again, this time riding for the U.S. Equestrian Team aboard Pico De Gallo. That same year (2000), Marilyn received the Leading International Rider Award for her top scores on the U.S. Team that competed in Dublin, Ireland. Marilyn competing Comtesse du Lys for the U.S. Team in 2009. 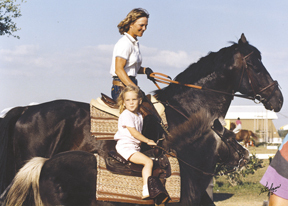 Marilyn has been a — USET rider on several horses over the years. Now with both feet firmly placed in the show jumping arena (when they’re not placed in the irons on one of her many client horses and soaring over a jump), Marilyn continues to find success for the Raylyn team. 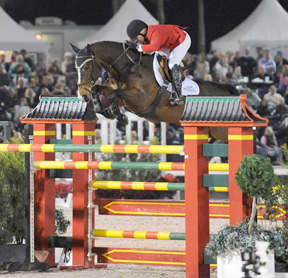 In 2009, she rode Comtesse Du Lys to win the $30,000 CSI5* Wellington WEF Challenge Cup Series Final. This season, riding Blue Curacao, Marilyn won both CSI2* in Lexington, Kentucky and most recently, was named the CSI5* North American Champion due to her wins at Spruce Meadows. There, she and Blue Curacao were the only pair to finish the derby course with only four faults. 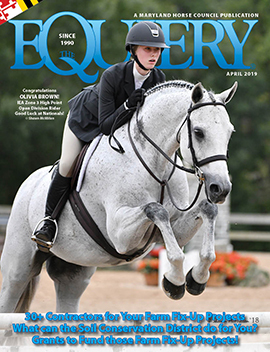 It is no surprise that Marilyn is also in the East Coast Show Jumping Hall of Fame. And all this at just the age of 28. So what keeps Marilyn coming back to WIHS? “I think [the show] is very well run right now. Everything [in 2009] was run very smoothly,” she said. The also keeps coming back simply because of WIHS’s long standing tradition of being one of the top shows on the indoor circuit. “It’s a big effort to get there, and worth the effort, but as professionals in this area, we need to support [WIHS]. It will only stay here if it gets the support from the local trainers and top riders,” she added. Her one suggestion for the WIHS staff is to somehow make food more easily available and accessible in the area where the grooms and riders spend most of their time. She added that even having food to buy at that level would be helpful. Marilyn plans to compete again this year, however on which horse and in which classes is still to be determined. “We run a large sales barn so I’m not sure which horses will still be around come the show,” she explained. No matter which horse she rides this year, this hometown favorite is sure to have the crowds cheering her on. By seven, Marilyn was wiping up the Small Pony Hunter divisions. Pictured aboard Snowy Day. At 17, when Marilyn was up for Leading Rider at Madison Square Garden, Lynn lent her Lou Lou to ride in the Puissance class. This was Marilyn’s first ride aboard Lou Lou and her first Puissance. The pair tied for first, jumping to 7’3’’. 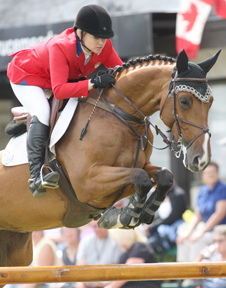 Marilyn, pictured here aboard her Grand Prix horse America, married fellow Grand Prix show jumper Ben Meredith in 2008.